Through map regression (ie the examination of as many maps from different points in time as possible, starting with the most recent and working back chronologically) our aim is to discover how the layout and character of the village has changed over the past 400 years. We do this with particular reference to fields, roads, the railway, the built environment and provision for the poor. 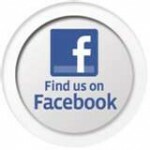 We are seeking to identify all available sources of maps and to create copies of relevant material where possible. The proposed outcome of our work is to produce A1 size copies of a variety of maps for display at the Heritage Room, together with an explanatory document describing what information can be gleaned from them. We may also consider offering details of our research for inclusion in a NAHRG (Norfolk Archaeological and Historical Research Group) publication. A fold course is an area of land used by a tenant farmer to grow crops on for a period of time during the year, and then by the landowner to fold (or graze) their sheep on for the rest of the year. In this way the landlord had good grazing for their animals, and the tenant farmer had their land fertilised. Commoners had to graze their animals either on common land, or on the roadside. 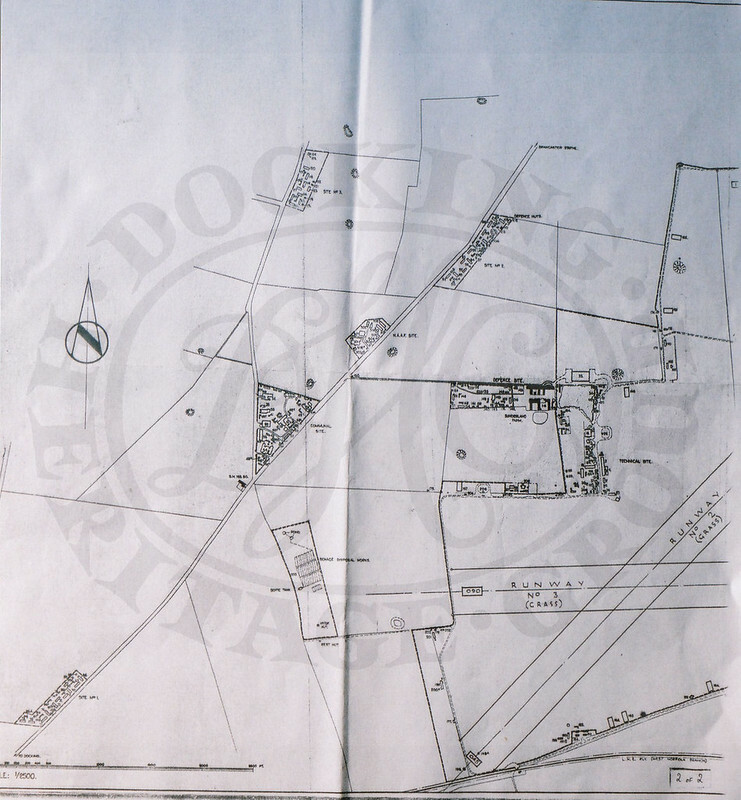 This map was produced to show the location of the various fold courses within the parish of Docking and to describe the rights of the landowner to fold his sheep on various fields at different times of the year. After a considerable amount of searching through map catalogues, making enquiries of county archaeologists etc, we finally located this map at the Norfolk Record Office (NRO). 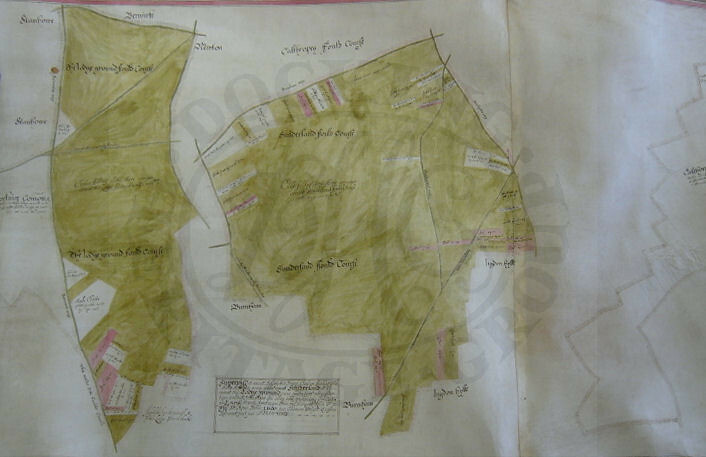 We have taken digital photographs of it, and have now drawn up a draft copy of the map which we need to take back to the Norfolk Records Office (NRO) in order to fill in the detailed captions etc, as they were too small and faint to photograph successfully. We also need to translate the captions on the map, some of which are in Latin. This map was produced around the time that enclosure of the medieval open field system took place and was probably produced to facilitate that process. We are fortunate that we have access to a copy of the map, which is of a considerable size, which has allowed us to take digital photographs of it, a small section at a time. There also is a terrier (ie a list of the various plots of land describing their use and occupation) which has been loaned to us for photocopying, and has now been converted to a spreadsheet to facilitate analysis. We have recreated the map from the photographs and produced a copy that will fit on to an A1 sheet. Eventually we should be able to produce a series of maps illustrating the location, ownership and occupation of the various fold courses and residential properties in and around the village. The 1840 Tithe Map, and accompanying apportionment, were produced to provide a record of the location, ownership, occupation, usage, acreage and valuation of each piece of land in the village from which the parishioners’ liability to pay tithes to the church and landowner could be calculated. It was necessary to revise the tithe apportionment following the Enclosure Act of 1859, which was primarily concerned with the enclosure of common land, and this led to the creation of the 1864 map. We are again fortunate to have access to copies of the tithe maps and apportionments, and are indebted to a researcher at the NRO for providing digital photographs of both maps. We have been able to make a tracing of the original map and add detail to it from the photographs. Both maps have been reduced to A1 size and have been coloured in to show land ownership, farms, and land use at 1840 and at 1864. 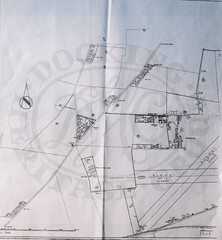 We have located a copy of the 1859 Enclosure Map for Docking at the NRO but have not taken steps to obtain a copy as it appears to be identical to the 1864 Tithe Map. 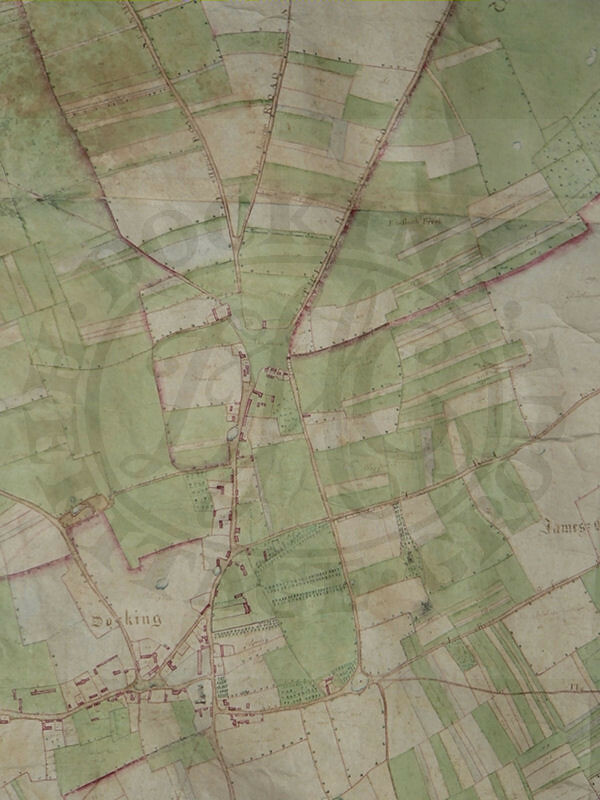 It would, however, be useful to get access to the enclosure award that accompanies the map as it undoubtedly contains detailed information relating to the enclosure of the common land and any provision made for the poor. 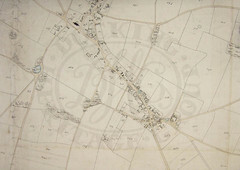 We have bought a copy of the OS 24” map covering the village and part of the surrounding fields. This is likely to prove useful to those studying the built environment, but is of less use to those looking at field systems. 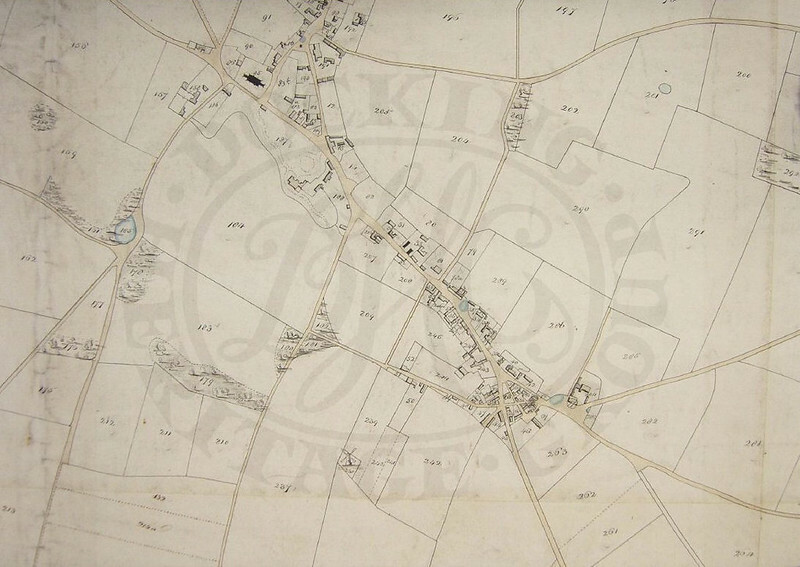 Using details gleaned from different maps and documents, we have been able to recreate a map that shows the road layout that once existed in the parish of Docking. We were even able to put names to many of those lost roads. The routes of most of those roads can still be traced in the landscape today by following hedge lines and field boundaries. Many of these roads would have been little more than cart tracks, but still important thoroughfares of the day. We are fortunate enough to have a detailed map of the former airfield of RAF Docking. The map shows the layout and extent of the airfield, the location of every building and its use. An interesting and invaluable survival from World War II. We now also have copies of maps from 1905, 1923 and 1980 which will enable us to show the development of the village into modern times. If you are interested in helping with any of the projects above, or have any ideas for work that the mappers might include in their programme, we will be very glad to hear from you.